This could be co nsidered a bread or a dessert. Anyway you look at it, it's yummy! or my favorite, cinnamon chips!!! Mix oil, sugar and eggs. Add zucchini and vanilla. Mix well. Add remaining ingredients. Place in a greased bread pan Bake at 350 for 50 - 60 minutes. Makes 2 loaves. yum! 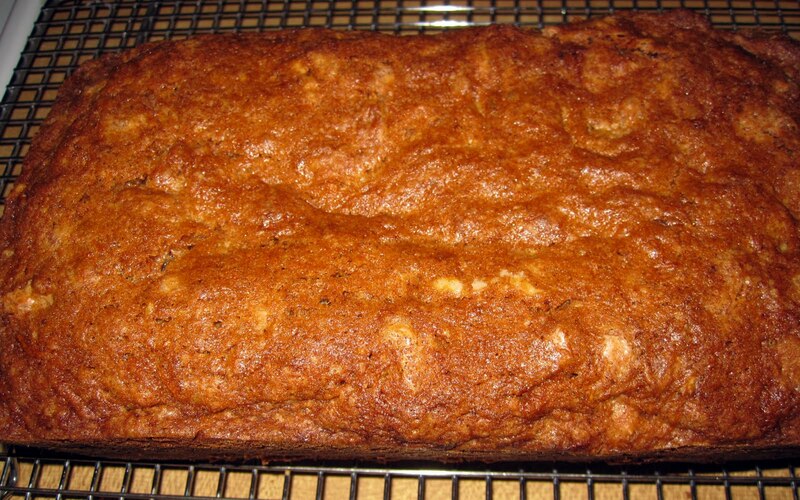 i have alot of zucchini from my garden this year, so I will be making all sorts of breads. I would love to have you come link up to my recipe hop.